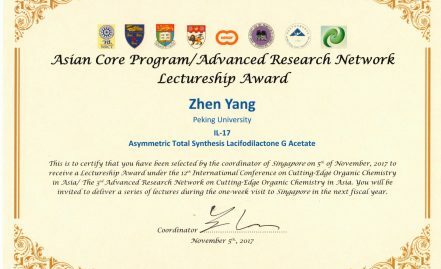 Wins Second Prize of 2017 ACS Shanghai Chapter Outstanding Graduate Student Research Award, Prof. Yang and Prof. Gong titled as Excellent Research Advisors. School of Chemical Biology and Biotechnology (SCBB), Peking University was established in 2003, and enjoys a beautiful campus setting that combines the elements of aesthetical appeal of classic architectures as one may find at Peking University (PKU) Beijing campus as well as the elegance of modern design characteristic to the greater Shenzhen-Hong Kong metro area. Leveraging on the universe of resources of Peking University and the regional economic strength of Shenzhen, the school gains a firm foundation for rapid and sustainable growth. SCBB is determined to excellence and leadership. 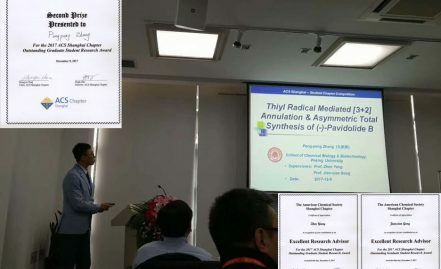 In the past years, SCBB has spent tremendous effort in recruiting talented scholars and educators from synthetic chemistry, computation, biology, and developing the-state-of-art facilities in these areas. Under a conceptually new framework that effectively breaks down the traditional boundaries and integrates scientists of various disciplines under one roof, SCBB is devoted to discovering and developing new-generation medicines that could help address critical current medical needs, as well as educating and inspiring some of China’s brightest young minds to better serve the nation’s strategic mission in promoting biomedical and life science industries in this new millennium. 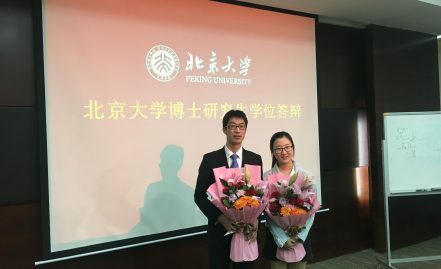 Our innovative graduate curriculum, representing the first of its kind in China, is carefully designed to give students interdisciplinary yet focused training in the above fields while at the same time maintaining a standard as rigorous as that of a classical Peking University education in more traditional disciplines. SCBB, as you can see, is an exciting, multifaceted center for scholarship, teaching and learning that will take a flagship role in the further development of modern pharmaceutical high-tech industries in China, particularly in its economic powerhouse southern coastal region. I am delighted that you have taken an interest in our program, and look forward to having the privilege of working with you in the future. Add: Room 319 , Building F, Shenzhen Graduate School of Peking University, Lishui Road, Xili Town, Nanshan District, Shenzhen, P.R. China.